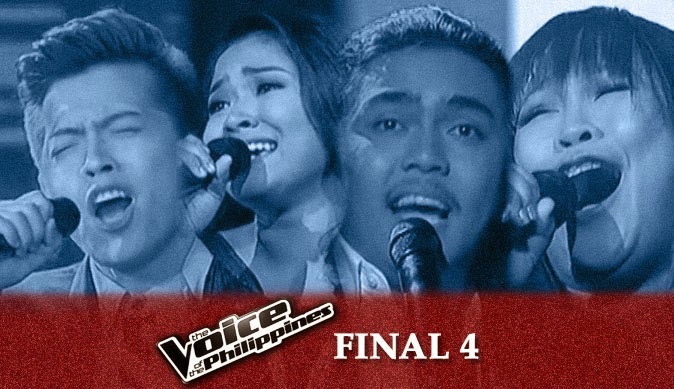 The Voice of the Philippines Season 2 grand finalists have been named following the announcement of the top 4 contestants on Sunday night. Monique Lualhati (Team Sarah) - 39.91% total pts. It was a close fight between Team Apl's Alisah Bonaobra and Daryl Ong, with a total point difference of only 0.3 percent, as well as Team Lea's Leah Patricio and Timmy Pavino, 0.58%. Heavily favored by netizens on social media to win the reality-based singing competition are Jason Dy, who will represent Team Sarah in the grand finale, and Rence Rapanot of Team Bamboo, a.k.a. Camp Kawayan.